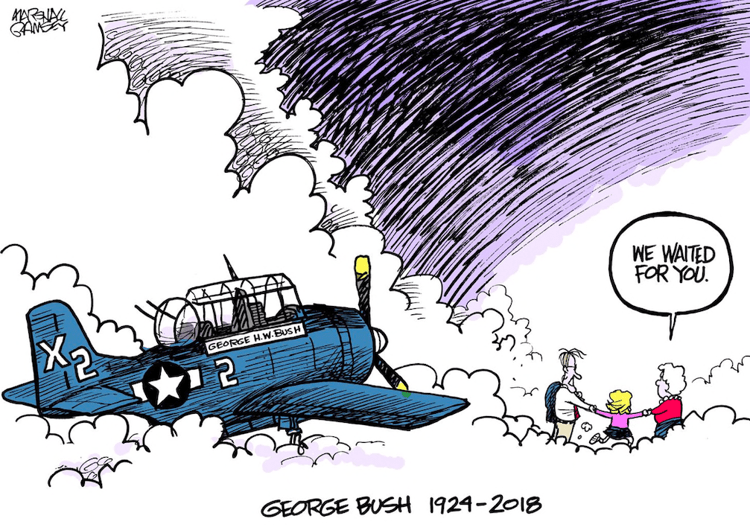 Upon learning the news that George H. W. Bush had died editorial cartoonist Marshall Ramsey knew what to draw. 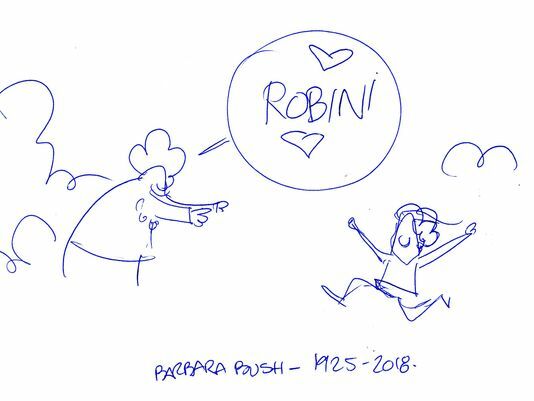 This cartoon was going to be a bookend to the cartoon I created when Barbara Bush died. It was an idea I had thought of when he was so ill in April. But he was tough and bounced back. I tucked away the idea for a later date. Which was last night. 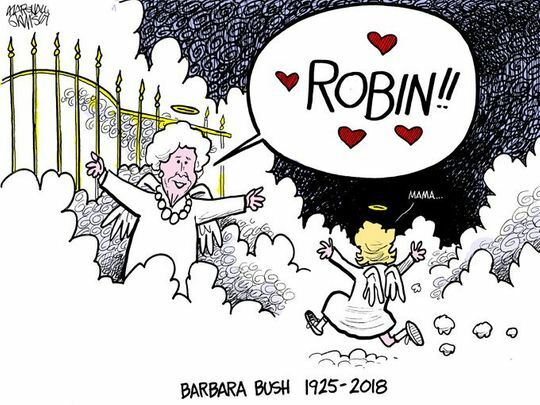 This cartoon tribute has become as popular as his Barbara Bush cartoon did earlier this year. Not just with the public but, more importantly, with the Bush family. “This brought me such comfort this morning,” [Jenna Bush Hager, the Bushes’ granddaughter] wrote Saturday on Facebook, with a shared image of the cartoon. “I had the opportunity to talk with my grandpa about the afterlife. and Marshall’s column about the earlier Barbara Bush cartoon. 21 queries in 0.143 seconds.